Clarksville, TN – That sweet transvestite and his motley crew are back for a limited engagement, so prepare to do the “Time Warp” like you have never done it before! Richard O’Brien’s cult classic “The Rocky Horror Show” returns to the Roxy Regional Theatre for five performances only, October 23rd – October 31st. Timothy Houston and Lindsay Nantz star as Brad Majors and his fiancée Janet Weiss, two clean-cut young people on the way to visit an old college professor. 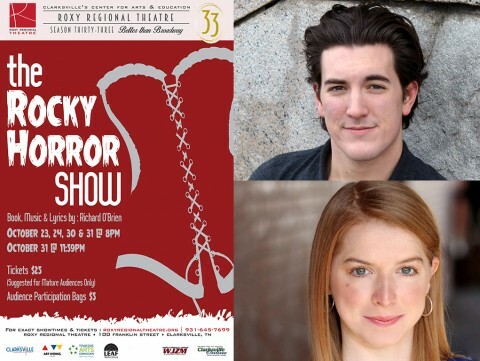 Timothy Houston (top) and Lindsay Nantz star as Brad Majors and his fiancée Janet Weiss in the Roxy Regional Theatres production of “The Rocky Horror Show”. When they run into trouble and seek help at the freaky Frankenstein mansion, little do they know that Dr. Frank N. Furter — played by a stiletto and fishnet stocking-clad James Hansen — is in the midst of one of his maniacal experiments! Featuring Ryan Bowie as Riff Raff, Val Roche as Magenta, Kelley Barker as Columbia, Matthew Smolko as Eddie, John McDonald as Dr. Scott and Sean Michael Jaenicke as Rocky, “The Rocky Horror Show” will have audiences dancing the “Time Warp” to live music provided by Tom Thayer on piano, Jarrod Jackson on guitar, and Thad Wallus on drums. “The Rocky Horror Show” plays at 8:00pm on October 23rd, 24th, 30th and 31st, with a special Halloween midnight showing on Saturday, October 31st. Friday, October 23rd, is the traditional pay-what-you-can preview of “The Rocky Horror Show”. All tickets not pre-sold at the regular ticket price will go on sale at 7:30pm that evening for whatever amount patrons wish to pay ($5.00 minimum). This production is made possible in part through the generous support of Timothy & Kris Lee and John & Ann Waddle. 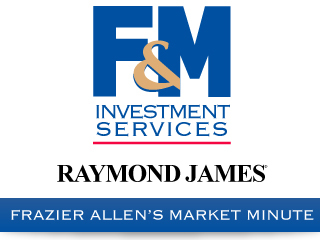 Additional funding support has been provided by Larry & Barbara Goolsby and Sal & Andrea Herrera.